Prof. Izael Pereira Da Silva has a PhD in Power Systems Engineering from the University of Sao Paulo (Brazil). He is also a Certified Energy Manager (CEM). At present he is an Assoc. Professor at Strathmore University and the Deputy Vice Chancellor - Academic affairs. He is the Director of the Strathmore Energy Research Centre, SERC. The centre does training, research, testing and consultancy in energy related topics. His topics of interest are: Rural Electrification, Renewable Energy, Energy Efficiency, Energy Policy, Sustainable Environment and Demand Side Management. In March 2012 Prof Da Silva together with other partners won a project sponsored by DFID and DANIDA and managed by the World Bank to set up the first Climate Innovation Centre (CIC) in the world. It is housed in Strathmore and serves SMEs financially and technically to solve challenges posed by the adverse impact of climate change either by mitigation or adaptation. Prof Da Silva has written quite extensively in the field of energy. In 2013 he was honoured by the Brazilian Government with the title of “Comendador da Ordem do Rio Branco” for his services towards education and poverty alleviation in Africa. In October 2014, after more than one year of efforts together with seven other colleagues he managed to get the Association of Energy Engineers – AEE to approve the Association of Energy Professionals (Eastern Africa) as a chapter of AEE for the five countries of East Africa plus Ethiopia and South-Sudan. 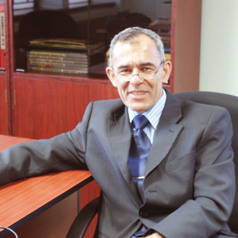 Prof Da Silva is the first elected President and founding member of the AEP(EA).